Receiving payment from your buyer is now easy and breezy. Before we proceed further, here are the concept of what is happening. 1. You need to add the senangPay button (or using the link) in your sales web ( or your social media platform / integrate with your shopping cart). 2. 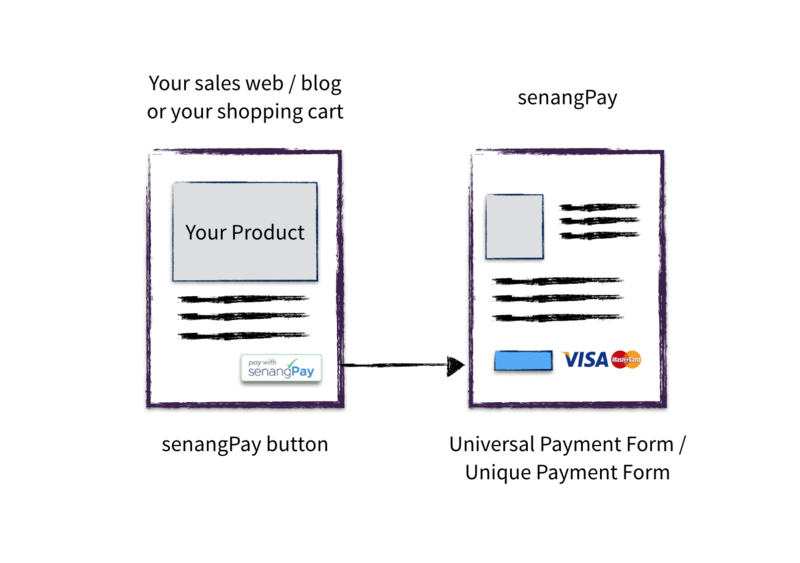 When your buyer click the senangPay button, it will redirect your buyer to the payment form. For example, below is the button (live embedded in this web) and please click to see the form. 3. Your buyer will key in their contact and credit card information. 4. Upon clicking the “Submit” button by client, the bank will charge the client. 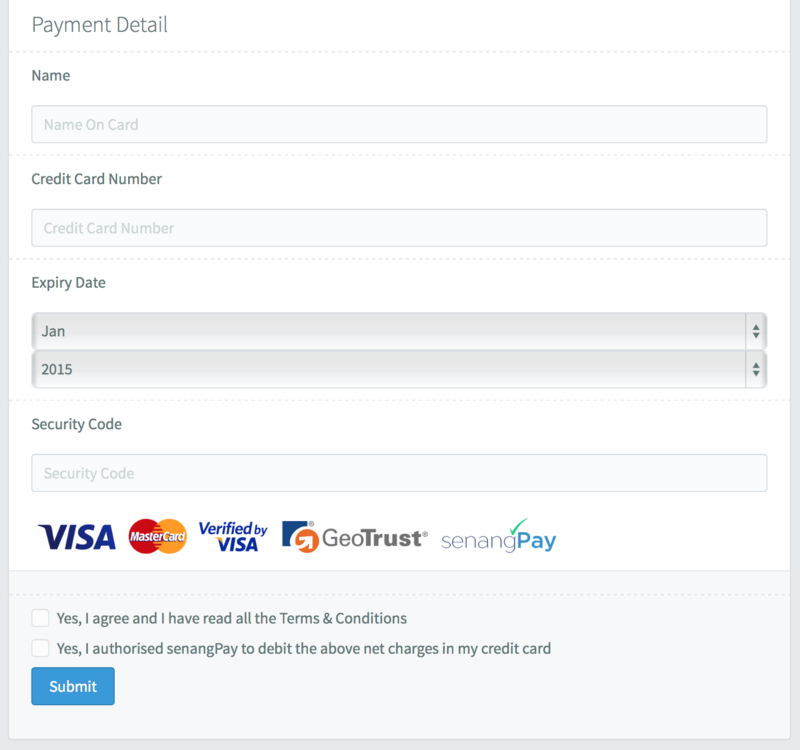 5. senangPay will email the client a payment confirmation. This is also an act of sales notification to the merchant. 6. Sales transaction is then recorded in the senangPay Dashboard to be viewed by you. Below are the example of the list payment from the Dashboard. You can click on the buyer’s name to view detail transaction. 7. The transaction will also reflect in your main Dashboard. 8. You will receive a sales notification email of every transaction that happened in the current day, every morning the day after. Below are the example of the notification email that sums up all your sales. 9. 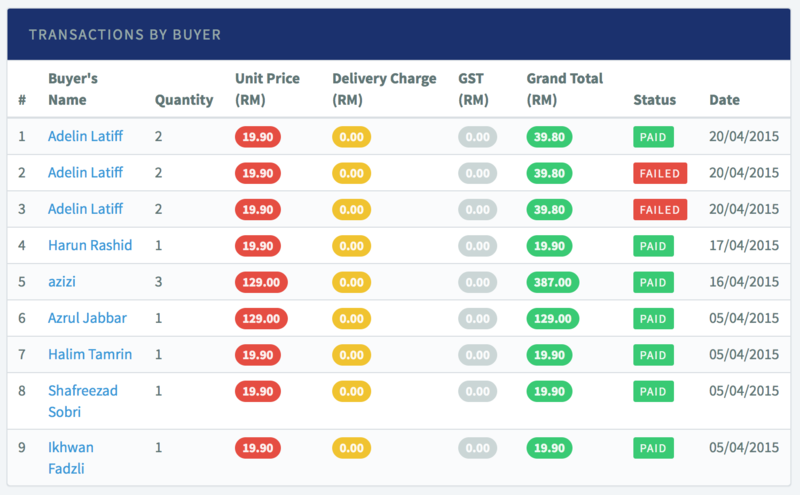 The money from buyer then transferred to senangPay account. 10. senangPay will then transfer the money to you as per schedule. You can check on the “Payment” section for the record.